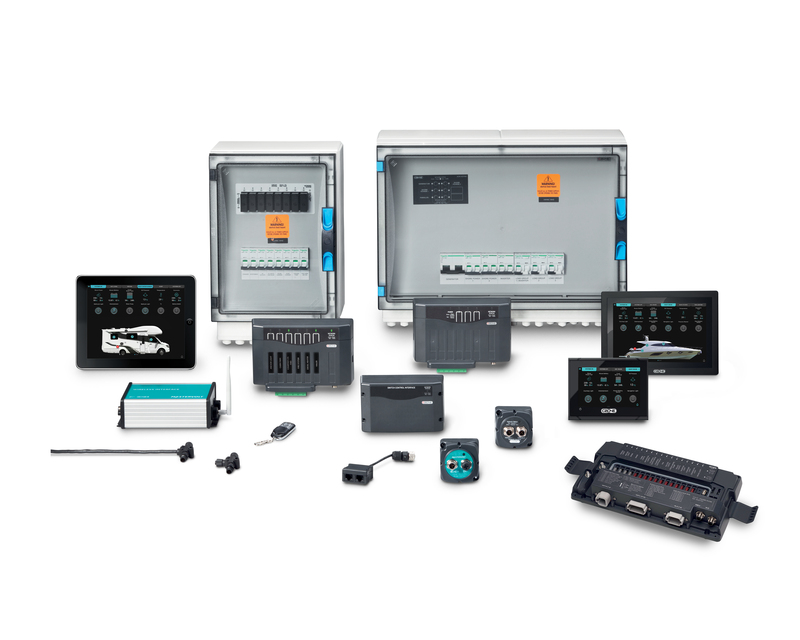 The Combination Output Interface (COI) combines multiple input and output devices in to one module, offering a compact and intelligent replacement for traditional DC fuse boxes and circuit breaker panels with digital switching technology. 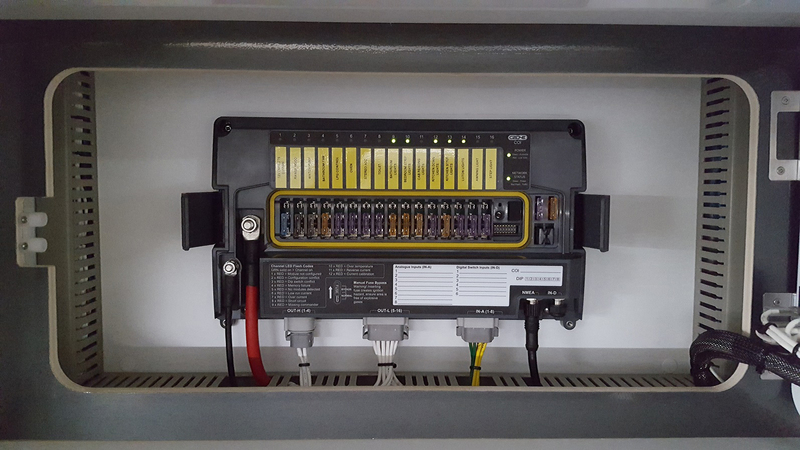 Mastervolt is a pioneer in digital switching, a proven CANbus technology where a single data cable is used to operate clusters of switches. 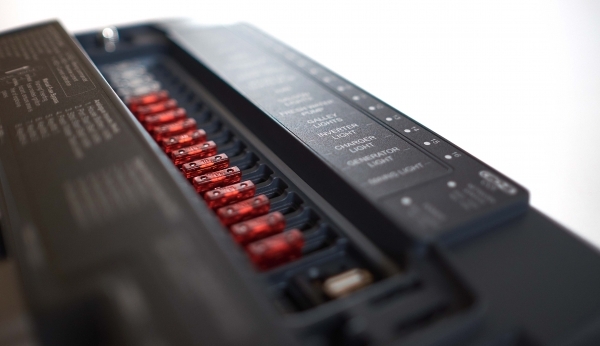 In large applications, there could be an average of five separate Output Interfaces, each operating dozens of local appliances along with ancillaries such as timers and dimmers. The Combination Output Interface, however, uses just one compact 30-channel unit to provide all the necessary outputs. 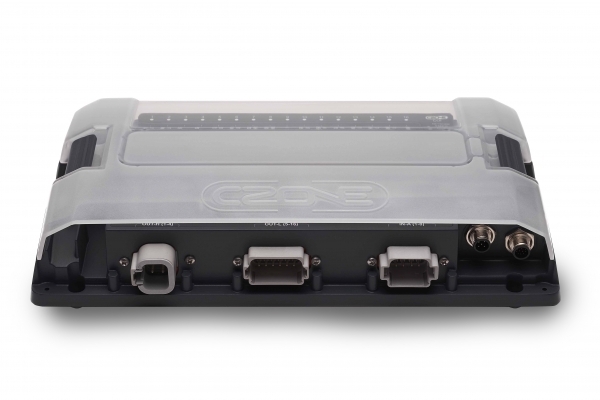 The COI is essentially a complete CZone® system in a single, rugged housing, making it a cost effective solution where space and budgets are limited. 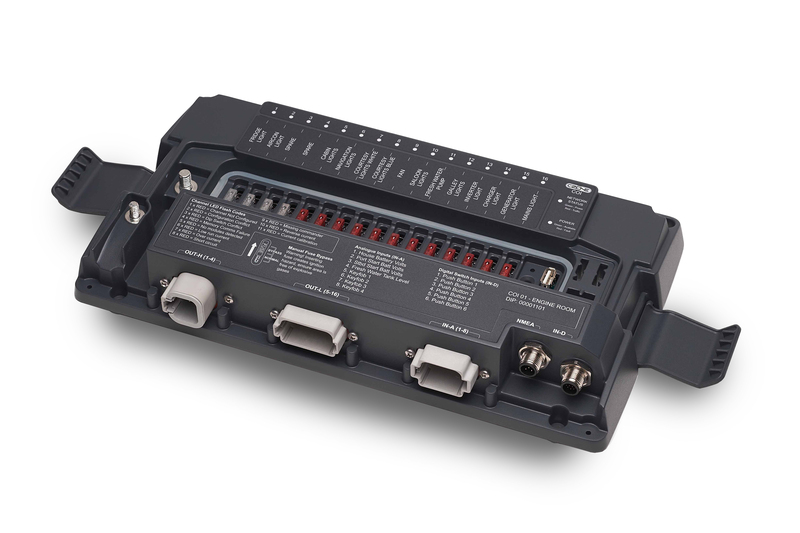 By using fewer connection points along with industry-standard ‘plug & play’ Deutsch connectors, the COI is very easy to install. A USB port has been added to improve remote serviceability and allow for easy upgrades, whilst a high power 150-amp unit fields enough energy for modern domestic appliances that may run through the electrical system. A CZone touchscreen is used to operate the system centrally, and as the ABYC and CE safety authorities require every circuit to have both a fuse and a bypass, this is provided within the COI. Each ATC fuse can be simply withdrawn to isolate a circuit, and pushed into a different position to create a bypass. To aid identification of the individual fuses, an adhesive circuit label is available, which is printed to a customer’s exact requirements. 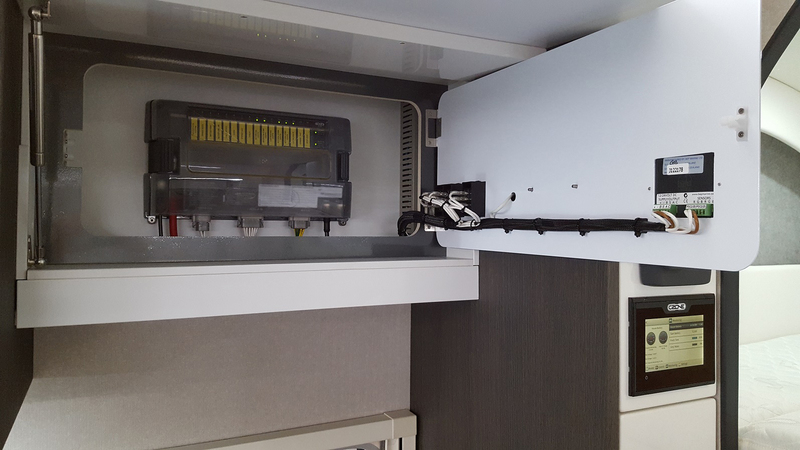 A clear plastic cover protects the fuses, although a large clipping system provides fast access. Red and green LEDs indicate a circuit’s status at a glance. Partnered with either a dedicated CZone display, or with a multi functional display from one of our industry leading integration partners (B&G, Furuno, Garmin, Lowrance, Simrad), the COI heralds a new era in providing simple, intuitive control over the increasingly complex systems found on today’s applications. The Combination Output Interface has multiple layers of protection provided by software, hardware and mechanical means for ultimate reliability. The casing is built to the IPX5 water ingress standard. An optional cable cover is available to hide the cable glands. Other features include high power pump channels to allow manual control, plus ‘pump running’ feedback, from a single channel without the need for additional wiring. 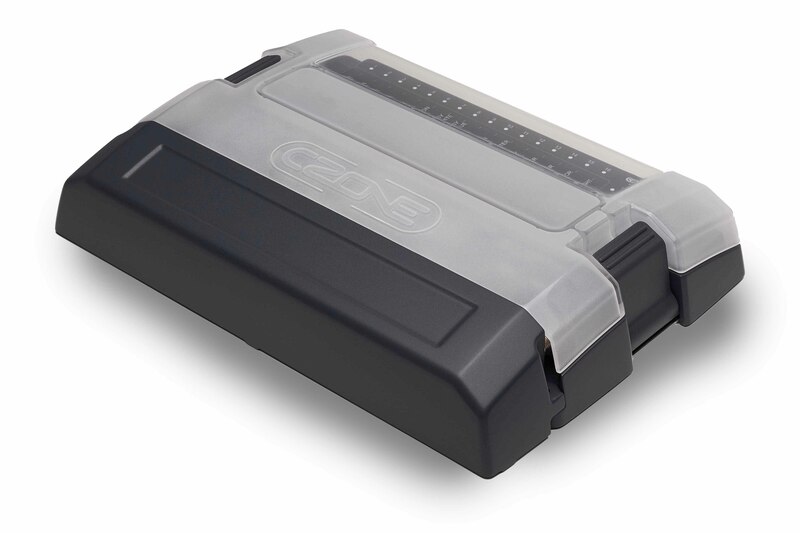 In addition, the COI provides six digital switch inputs (wiper, horn, etc. ), eight analogue inputs (starter battery, fuel gauge sender, etc.) twelve low current (10 A) outputs (courtesy lights, anchor light, etc.) and four high current (25 A) outputs (bilge and water pumps). There is also a Combination Output Interface without connectors available for refit or service purposes. Dan Jowett, Boatyard Electronics Team Leader of the Volvo Ocean Race, walks you through a VO65 boat to have a look at the safety systems on board.